If you want to see an example of problematic witness statements, and even more problematic expert witnesses, then read the judgment of Mrs Justice Jefford DBE in Castle Trustee Ltd & Ors v Bombay Palace Restaurant Ltd  EWHC 1602 (TCC). The way the evidence was adduced was almost a menu for disaster. Both sides produced no real “first hand” witness evidence. There were major problems with the expert evidence. The claimants claimed sums from the defendant due for additional work carried out when building work was done at the defendant’s restaurant. The matter had a prolonged and difficult procedural history but, eventually, reached trial where it took eight days. This is the judgment in the trial. The judge considered the two solitary witnesses of fact. (i) Liberty relied on the statement of David Harris. He was now retired. He was trained as a quantity surveyor but had moved into project management. He had formerly been a director (from 1995 to 2015) of Liberty Properties plc and said that Liberty Properties plc had been engaged by Liberty Property (GP) Limited to project manage the redevelopment works. His statement addressed events in 2011. In very short summary, his evidence as to the effect that, after the Agreement had been concluded in 2010, it had become apparent during 2011 that BP wished to carry out more extensive works than were provided for under the Agreement and take the opportunity to completely refurbish both the restaurant (or front house) and the kitchen (back of house). Against that background he addressed Scott Schedule items numbers 6, 7, 11, 18, 26, 28, 29 and 43. He said nothing at all about events in 2012 or delay to the carrying out and completion of the works to the restaurant. (ii) BP relied on the statement of Stephen Brown. His statement addressed the causes of delay relied on by Liberty and many of the Scott Schedule items. Each party criticised the other for failing to adduce relevant evidence from material or potentially material witnesses and lack of proof of Liberty’s case was a primary theme of BP’s submissions. I shall deal with those submissions on an item by item basis. It is plainly open to me to have regard to the contemporaneous documentation as part of the relevant evidence but I bear in mind that I am doing so without the benefit in many instances of the evidence of those responsible for the documents. In any event, neither Mr Harris nor Mr Brown was a satisfactory witness. They were, of course, giving evidence about events that had happened 6 or more years earlier and, in some instances, going back nearly a decade. Both may have been tempted to reconstruct what had happened, putting the best gloss on the documents available to them. But, in my view, they both went far further than that. They were both too inclined to act as advocates not witnesses and to purport to give evidence about what others had said or done or meant which they were not in a position to give evidence about. On occasion they both showed themselves unwilling or unable to give a simple answer to a straightforward question. I approach their evidence with suitable caution. The expert evidence was even more remarkable and, in many respects, unsatisfactory. On quantum, Liberty relied on the evidence of Ms Allen. I have no doubt that Ms Allen was an independent and honest witness doing her best to assist the Court. She was open and helpful in giving her oral evidence. I make it clear that, in many respects, she was an impressive witness and that I have no personal criticism of her. She had, however, served a report which extended to approximately 8 lever arch files of material. The reason her report was so lengthy was that on the Scott Schedule items she had set out what was, in effect, a narrative addressing (i) the basis on which works were said to be additional, (ii) what works were said to be additional and (iii) what works fell within the scope of the Agreement, as well as the valuation of (ii) and (iii). BP understandably expressed concern that Ms Allen was attempting to give factual evidence, although in due course Mr Williamson QC recognised that what Ms Allen may have been seeking to do was work through her own understanding of the items. Having said that, in the joint statement of the experts, Ms Allen recorded that she had been asked to provide a view as to whether items were to be considered as variations or not. In any event, Ms Allen’s report could not be evidence of fact although it may have provided assistance to both parties and the Court in identifying relevant documents. I referred above to the application on 21 June 2017 for relief from sanctions, at which time BP said that it was in a position to serve its expert evidence by the extended date for Liberty’s evidence, namely 23 June 2017. In the event, BP did not serve a report from a programming expert but served a report of Dr Ronan Champion on quantum, which covered all the Scott Schedule items. All of that is plainly right and makes it clear that Dr Champion fully understood the issues that arose and the significance, or otherwise, of identifying the additional amount incurred. In the balance of the assessment that he then carried out, he gave short views on a number of items but on a good number opined that he was unable to express an opinion because the Claimants had not (satisfactorily or at all) identified “the reference baseline value for the unvaried works”. What became clear in cross-examination was that Dr Champion had been instructed at a much earlier stage, he thought shortly before the service of the Defence his instructions being in the nature, as he put it of “help”. He had at that stage prepared a report in which he valued as much as he could (which was very little). He was insistent in cross-examination that, if his report appeared to add little to what was in the Scott Schedule, that was because what BP had said in their response came from him rather than the other way around and that he had not then set out the basis for his valuations because they were already set out in the Scott Schedule. “Q: I suggest to you that at the time that you prepared your original report, let us put it this way, the report was far from ideal in terms of its content: would that be fair? I have no doubt that in doing this Dr Champion was trying to do his best in what were challenging circumstances not of his making. However, it had the result that what was before the Court was a report that dealt at a very high level with the quantum issues, did not set out clearly or at all the basis for Dr Champion’s assessments, and which cannot fully have taken into account all the available evidence, including the documentary evidence. I attach very little weight to it. Perhaps more importantly, it reinforces the importance of the views that Dr Champion then expressed in the joint statement of the experts when he had had the benefit of further time and the discussion with Ms Allen. In a case of fairly remarkable reports, this was the most extraordinary. As I have indicated above, there was a dispute as to the payment of “closure compensation” by Liberty to BP. This dispute formed the single largest value item in issue. In very brief summary, the nature of the dispute was as follows, although I emphasise that I summarise it at this point only to put Mr Bordoli’s evidence in context and not to pre-judge the issues that I address in detail below. Under the Agreement, BP was entitled to be paid closure compensation during the period of closure of the restaurant (which was estimated to be 4 weeks). BP claimed (and indeed recovered in the adjudication) the closure compensation for the entirety of the period the restaurant was closed from 11 January 2012. Liberty’s case is that BP was only entitled to be paid the closure compensation for the period when the restaurant was closed for the carrying out of the Restaurant Works (as defined). 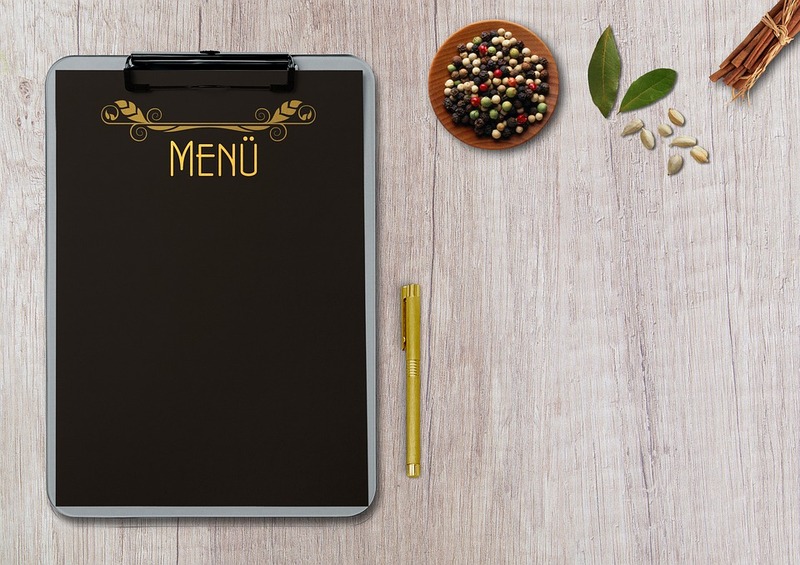 If BP requested or instructed additional works (the “BP works” referred to above), which prolonged the carrying out and completion of the Restaurant Works, BP could not be entitled to be paid closure compensation for any period of prolongation. It was also argued that that was an act of prevention – in consequence, BP would have no entitlement to closure compensation at all, alternatively for any period beyond that which had been estimated for the completion of the Restaurant Works. Those defences, therefore, involved both the assertion that BP had instructed or requested additional works and that those works had caused delay to the completion of the Restaurant Works. For that reason, Liberty adduced expert evidence as to the effect, in terms of time, of additional work. Coulson J.’s directions had explicitly limited such evidence to evidence that truly involved the exercise of expertise in programming. It is, of course, commonplace in proceedings in the TCC (particularly those that involve claims for extensions of time) for there to be expert evidence on causes of delay. On one view the cause of delay is entirely a matter of fact but expert evidence may be admissible and may assist the court in a number of ways. For example, there may be a complex programme for the works produced using programming software. There may be issues as to the validity of a baseline programme which involves expertise either in programming as such or in the construction process. Assessment of the impact of a factual event on the programme may involve running or manipulating or adjusting the programme which itself involves an expertise (not to mention software) which the court does not possess. The programme may have been adjusted on numerous occasions over the course of a lengthy project and that itself may be the subject of expert opinion. The programme and impacts of events on the programme may involve analysis of logic links and dependencies which again may involve expertise in programming and/or the construction process. The present case is not one that involves a particularly complex construction process or sequence; there were no computer generated programmes for the works to be manipulated; and, so far as I am aware, no programmers at work on the project. I infer from Coulson J’s direction that he regarded this case as one in which there were unlikely to be any particularly complex programming issues and any issues relating to delay were likely to be questions of fact, a view with which I wholeheartedly agree. Secondly, I infer that he recognised that, as a matter of case management, it was appropriate to express in the directions the need to ensure that the expert evidence was not diffuse and was properly focussed on matters of expertise rather than recitation of the facts. In the event, as I have said, BP did not adduce any such evidence. “I have considered Mr Burley’s report, the document he has referred to, the methodology he has adopted and the conclusions he has reached. I agree with Mr Burley’s approach and have independently reached the same conclusions in respect of cause(s) of delay to the Building Programme and the extent of such delays. Sever limitations of time, the requirement for me to submit my report by Friday 23 June  and as a proportionate response I have adopted the findings of Mr Burley ….”. What Mr Bordoli then did was reproduce Mr Burley’s report in its entirety and without any material amendment. He in no way attempted to disguise what he had done. Despite Mr Williamson QC’s complaints about that, I do not see that there is anything objectionable in itself about adopting another expert’s report. If expert A reads expert B’s report and completely agrees with it, as say two doctors might commonly do as to a diagnosis or prognosis, it is clearly open to expert A to say that his opinion is the same as expert B’s for the same reasons and even adopt expert B’s words rather than reinvent the wheel. Having said that, it is right that the Court should adopt a healthy scepticism in a case such as this where one programming expert adopts wholesale the views of another. Where it is done, as Mr Bordoli expressly stated it had been, because of pressure of time, it must call into question the extent of the expert’s investigations and the care taken in forming his opinions. In fact, in this case, it seemed to me that Mr Bordoli had formed no independent view at all. I am frankly at a loss to understand on what basis he could possibly have formed such a view. Quite extraordinarily, Mr Bordoli had not even seen, and had apparently not thought it relevant to see, the parties’ pleaded cases or any disclosure. He had, therefore, paid scant regard to BP’s case – indeed he did not have BP’s pleaded case or evidence before him. He had however been provided with (and to some extent relied upon) Liberty’s witness statements in the adjudication – or at least Mr Burley had – even though no statements from these witnesses had been served in the litigation and their evidence was not before me. I fail to see how, in those circumstances, Mr Bordoli can have thought that he was providing the court with an independent view. Secondly, and despite the order of Coulson J., it was quite clear that Mr Bordoli’s report to a large extent recited facts. It is, of course, necessary for an expert in these circumstances to set out the factual assumptions on which his opinion is based but it seemed to me that Mr Bordoli’s report on many occasions went far further. To give one example, his report, included a lengthy section on “Pre-Closure Delays”. The thrust of this section was that variations to the kitchen area in 2011 increased the duration of the Building Programme from 4 weeks to 9 weeks. He set out various documents/ correspondence that related to the kitchen design during 2011, expressing the opinion that BP’s failure to appoint a design consultancy for the additional kitchen installation appeared to be affecting progress to the kitchen and restaurant design works in 2011. Those were matters which could not have affected the duration of the works carried out or the closure period. The core of the evidence was then found in 3 paragraphs which amounted to a broad expression of opinion as to a programme duration for carrying out of the kitchen works including what are (for these purposes) assumed to be variations and which amount to all of the variations claimed by Liberty. As became clear in cross-examination, Mr Bordoli had also given no consideration to whether the period of 4 weeks, which he treated as the period for completion, was in any event realistic. Any delay analysis has to proceed by reference to a baseline programme – that is what it was intended should be done. The process of establishing a baseline programme includes verifying that the planned programme was realistic and achievable, otherwise it provides no basis from which to assess the effect of delay. If the programme in use was, in fact, unrealistic, then one of the exercises a delay expert may properly undertake is the establishment of a credible baseline programme, that is one that sets out what could have been done (rather than the recorded intent). No doubt again for lack of time, Mr Bordoli had given not a moment’s thought to this at the time of his report. In cross-examination he agreed that the contract between Liberty and Pochin did not require all the works to the Bombay Palace to be carried out in a 4 week period. In August 2011, Pochin submitted a programme (rev 1) which showed a week’s set up in January followed by a 4 week programme. Mr Bordoli had not seen this programme and accepted that he had not considered whether the 4 week duration was feasible. In December 2011, Pochin submitted a revised programme with a total duration of 10 weeks for the carrying out of the works to the Bombay Palace. BP had pleaded that this was a more realistic programme and that it showed works which were unarguably within the scope of the Specification, spanning the entire 10 week period. Mr Bordoli had not considered this. It was overall difficult to see what programming expertise had been brought to bear at all. To make matters even worse, it appeared that Mr Bordoli had attempted to rectify his position by producing a further report, having seen further documents, but that report was not produced until 11 October 2017, days before the start of the trial. I refused the very late application to rely on that report, although I subsequently allowed some corrections on points of detail to be made to the original report. The conduct of Liberty in relation to both these reports compounded my impression that little real attention had been paid to the delay case throughout these proceedings. I will consider the matters relied on by Liberty and Mr Bordoli further below but I place no reliance on Mr Bordoli’s evidence as such. It was not expert evidence; it did not comply with the Court’s Order; Mr Bordoli had not acted in accordance with CPR Part 35; and it could patently not stand as factual evidence. On the subject of proving things the counterclaim is most illustrative. On the pleadings, BP advances a counterclaim for fees payable to Mr Woodcock under the Agreement. There has been no evidence about this counterclaim at all and it is, accordingly, dismissed.